National Institute of Technology, Tiruchirappalli has released advertisement for the recruitment of 08 Hostel Asst.Trainees Posts. Applicants should apply offline on or before the closing date i.e 27 Sep 2018. Interested aspirants are advised to go through the complete advertisement to know the recruitment process. Aspirants should visit the official website and download the notification to get more details. 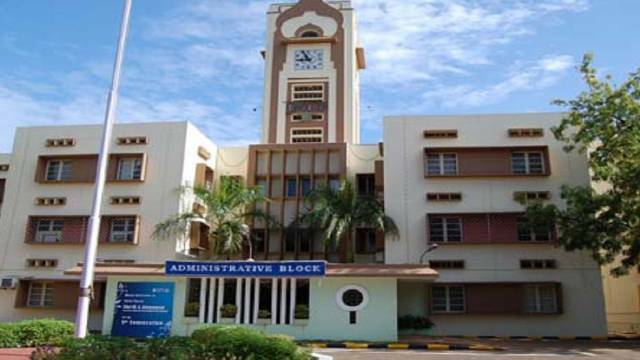 How To Apply For NITT Recruitment 2018: The willing aspirants may apply in prescribed format with all important documents and send it to The Chief Warden, National Institute of Technology Hostels, Tiruchirappalli – 620015 on or before 27 Sep 2018. Keep an eye on safalta education portal for more latest updates regarding jobs, exams, and Study Material . Address, If Form Offline: To the Chief Warden, National Institute of Technology Hostels, Tiruchirappalli – 620015. Maximum Age (in Year): Applicants should not exceed 30 years. Selection will be done on the basis of the Written Exam /Interview. Aspirants must have completed any Graduate degree with first class and also able to read, write and speak in English and Tamil.